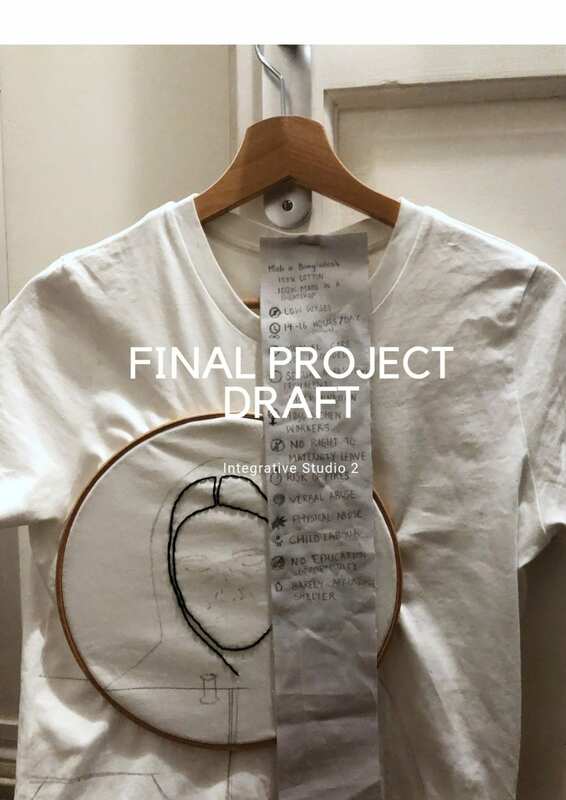 The tags are the most important feature of my final projects as it provides the information that is needed to understand what would otherwise just be embroidered T-shirts. 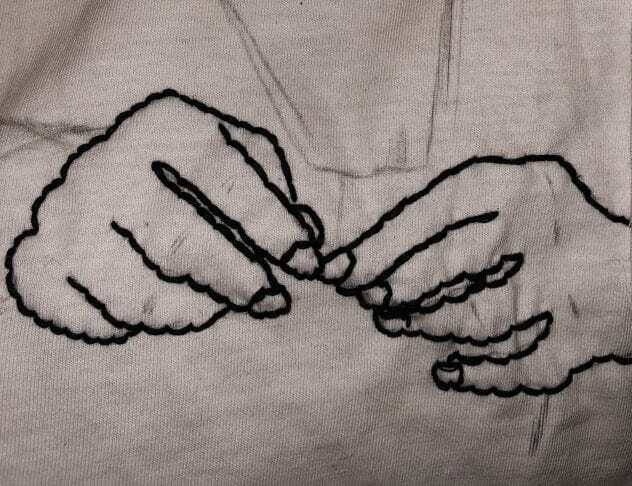 However, the audience should see the front of the shirt first, which has the line embroidery on it and then notice the unusually larger size of the tag, which should draw them in to see what is written on it. 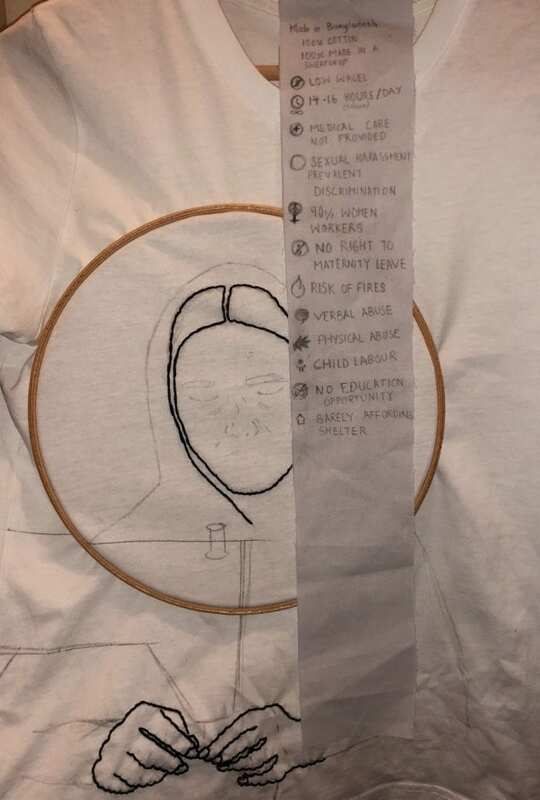 I feel like the medium of my project does a good job of communicating this because my research is about garment workers and I am depicting it on a garment, the tags also have information about the workers, which will enable the audience to tie the two together and realize what the research is about. I want to induce a sense of empathy in the audience towards these garment workers and see them not just as a necessity in making our clothing, but as individuals in society. I had one shirt being embroidered and it was suggested that the number of shirts could be increased to three: A male, female and children’s one. The concept could be developed further by specifying the writing on the tag by making it correspond to the image on the shirt instead of just talking about general sweatshop conditions.